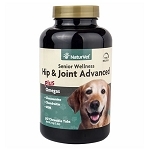 Hip and Joint Advanced by NaturVet - 40 ct.
NaturVet Hip and Joint Advanced provides older dogs with the extra joint support needed during their senior years. 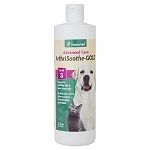 This formula contains glucosamine, chondroitin, MSM for joint support plus digestive enzymes and omega 3 fatty acids. 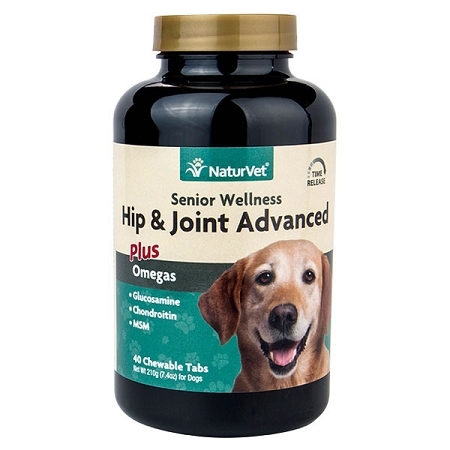 Hip and Joint Advanced is a time release formula recommended to provide senior dogs with the extra support needed for healthy aging and advanced hip and joint stages. NaturVet Hip and Joint contains glucosamine, chondroitin, and MSM to help maintain joint flexibility and alleviate aches and discomfort associated with daily exercise. This formula for older dogs contains nutrients for joint pain and stiffness as well as digestive enzymes, and Omega 3 fatty acids. Each bottle contains 40 chewable tablets. Also available in 90 ct. size. 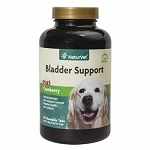 Bought these to try on our senior dog after noticing she was having problems walking and going down the stairs. After the 1st week we saw a great improvement. We just ordered a second bottle only in a 90 ct size. 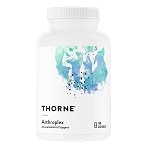 Bromelain stimulates fribrinolytic activity and inhibits thromboxane A2, which also helps maintain a healthy inflammatory response. Protease is a digestive enzymes that digests proteins and turns peptides into amino acids. 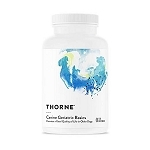 Inactive Ingredients: Citric Acid, Dicalcium Phosphate, Flaxseed, Fructooligosaccharides, Magnesium Stearate, Maltodextrins, Microcrystalline Cellulose, Mixed Tocopherols, Natural Flavoring, Rosemary Extract, Silica Aerogel, Stearic Acid, and Vegetable Oil.